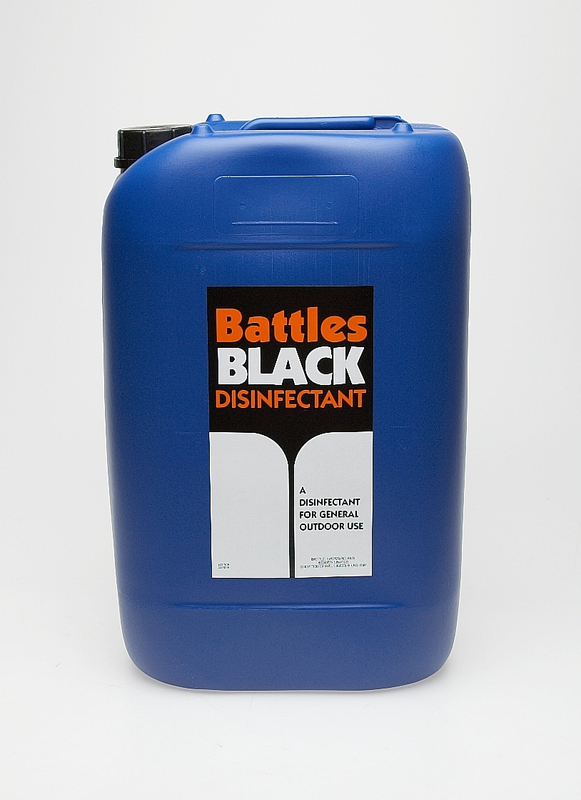 Battles Black Fluid is a practical and effective disinfectant for general outdoor use, great for use on the farm or in farming environments with a sheer black colour for noticing where the product has been applied. Available in varying sizes depending on the area size you are wanting to cover. In the proportion of one part of this preparation to 300 parts water. Wash or spray the area, leave for a short while and then rinse well and dry the area. Ventilate well before returning the animals. To avoid the risk of chlorophenol taint in eggs and egg packaging this product should not be used where eggs or packaging are handled or stored. 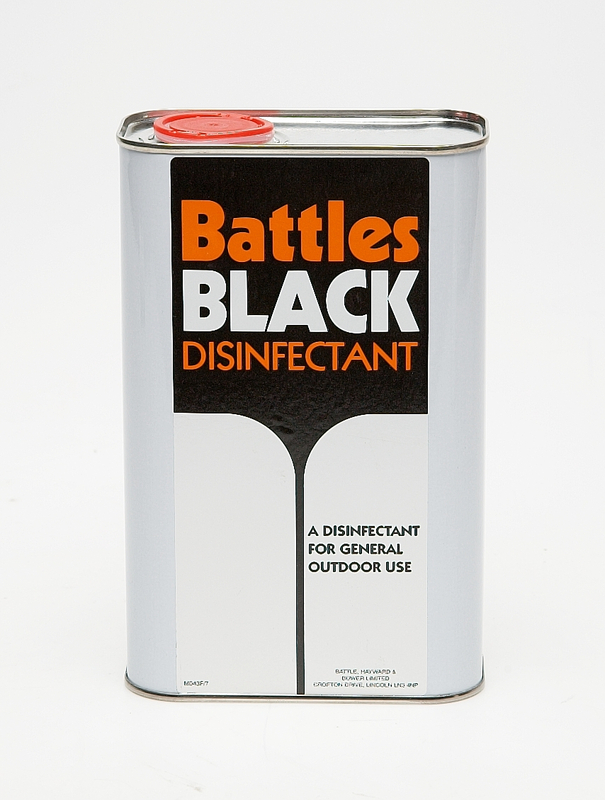 You should carefully read all the information on the packaging and labels prior to use. 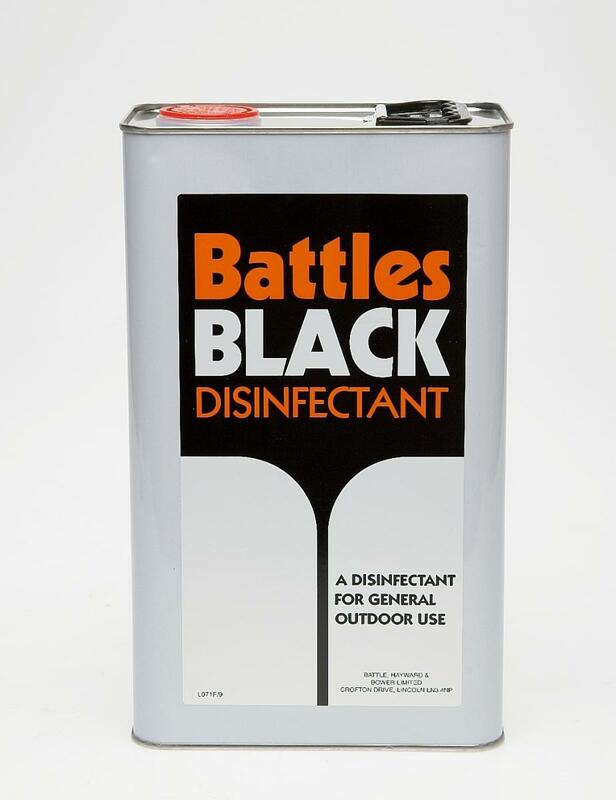 There are currently no questions for Battles Black Fluid Disinfectant - be the first to ask one!